IN HIS heyday now veteran truckie Noel Hollis trailed with historical rugby league club the South Sydney Rabbitohs. 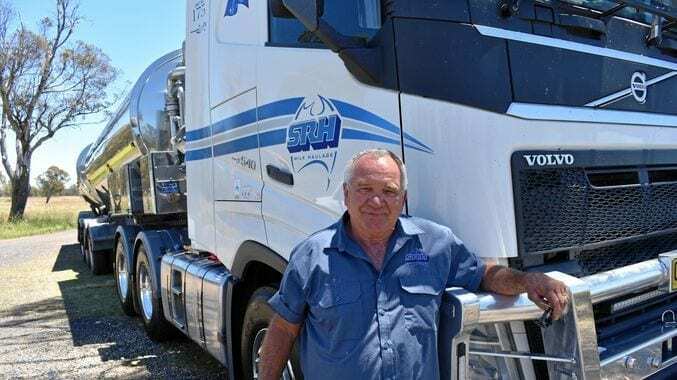 The 66-year-old drives a Volvo 540 for SRH Milk Haulage which is based at Rutherford in New South Wales. Noel celebrated his birthday a day after Big Rigs saw him at a pull over area on December 27. “I have two tankers of milk which carry 36,000 litres between South Brisbane and Walcha,” he said. The milk is transported in insulated tankers and not refrigerated containers ones as many members of the public think. “It is the same temperature when delivered as when it is picked up,” he said. 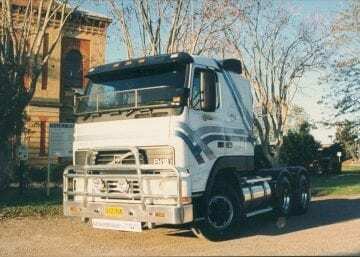 Noel has been a driver since age 21 and used to drive a log truck and said his favourite roadhouses were the Caltex at Warwick in Queensland and the BP Black Mountain. Sports lover Noel said he had had two knee replacements no doubt from his days as a quality footballer. 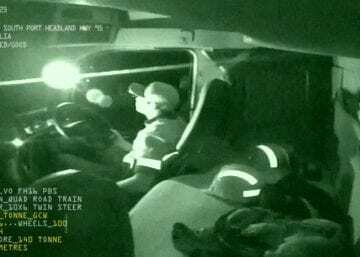 November 29, 2018 February 1, 2019 |BY redback adminTruck driver hits a loose trailer at 85kph. Watch what happens next.